He might be at the dawn of his career, but Al Auguste can make waves at this year’s Olympia. Find out how this former Bodybuilding.com Amateur of the Week is preparing! 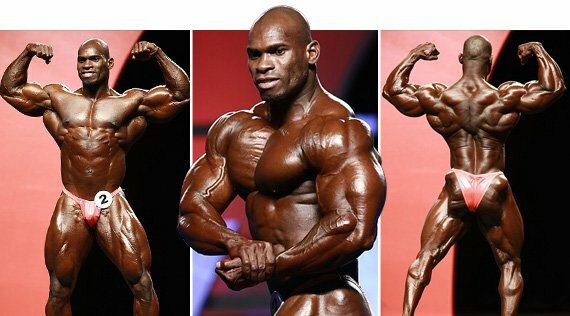 A mere two years ago, Al Auguste impressed us as a Bodybuilding.com 'Amateur Bodybuilder of the Week.' At that time, he prophetically explained: "When I turn pro I would like to be a poster boy for the sport." Today, Auguste is a pro contender and a multi-show pro winner. He is also closing in on realizing his dream of winning bodybuilding's biggest prize. He won his debut at the 2011 IFBB Pro Bodybuilding Weekly Championships and returned even stronger in 2012 to claim both the IFBB Desert Muscle Classic and Europa show of Champions Orlando events. He placed 9th at the 2011 Olympia 202-pound Showdown, planting himself firmly in the top-10 of his division. Al expects a better result in 2012 and based upon his recent showings, it would be difficult to argue against such a lofty aspiration. He will however face the formidable task of unseating the elite players like David Henry, Kevin English and Flex Lewis. Whether or not he has a chance of toppling these greats remains to be seen, but he definitely stands a good chance of breaking into the top-6 in his second Olympia appearance. Auguste's near-perfect proportions and optimal mass are perfectly highlighted by his spectacular stage moves, posing skills and on-point conditioning. Add all of that to his natural love of the competition process and you have a recipe for an extremely gifted and tough-to-beat athlete. Read on to find out how Auguste plans to dominate the 212 division. Hi Al. How did you get started in bodybuilding? What inspired you to begin competing? Al Auguste: It all began with a casual conversation I had at the gym with a guy who thought I had a lot of potential. It all went from there. You have only been competing as a pro since 2010, yet have already won three pro shows and are on track to being one of best athletes in your division. To what do you attribute your excellent pro success? You know as well as I do that bodybuilding is a discipline sport. I have to work hard and be committed to it. How have you approached your training for this year's Olympia? This time around, I am more focused, determined and alert. What is your nutritional strategy? How does your diet change from off-season to pre-contest? I've added a little bit of fat to my diet. For previous contests, I've cut out fat completely. I have also decreased the amount of carbohydrates I consume and increased the proteins a tad. Once I decide to do a show, I stick to the plan and zero in on the target. Quite simple: I am my own motivator. What do you consider to be your major strengths as an IFBB pro athlete? I consider as my main strength the overall package that I bring to the stage each time. Let's face it, I am never going to be the biggest guy, but with my conditioning, I believe I will always do well. You appear to hold a great deal of muscle for a 212-pound competitor. Would you consider switching to the open-weight class? If so, why? I have thought about it, but without sponsorships or contracts from supplement companies out there, food can be expensive. Compared to other high profile IFBB pro events, what is it like competing at Olympia level? What is the atmosphere like? Well, the Olympia is the show of shows. It's like playing for a championship in any of the major sports, like football or basketball. Plus, it gives me the opportunity to meet the many fans who come to support us. You placed top-10 in your first Olympia, in 2011. Where do you expect to land in 2012? Everyone trains to get first, but I can see myself in the top-5. I am bringing size and conditioning to this year's Olympia—you are just gonna have to wait and see! "The Hybrid" will make a statement.